At Blue Frog computer, we have expertise in internet security and in recovery of data. We can recommend and install the best security for your internet system. We can also provide offsite backup of your data. 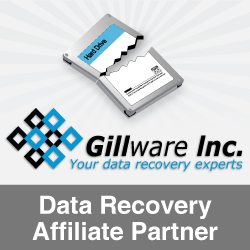 In the case of loss of data due to computer crashes, theft, fire, disaster, you can easily recover your data which has been safely stored offsite. If you do experience loss of digital data due to an accidental or unknown virus install, often it will be suggested that you reformat and reinstall your operating system. Blue Frog rarely has to recommend this approach. We can recover almost any operating system crash you experience (DOS, Windows 95, Windows 98, Windows XP). We serve Snoqualmie Valley and the Eastside - Fall City, Preston, Carnation, North Bend, Snoqualmie, Sammamish, Issaquah. What happens when I call Blue Frog? We listen to your issue and will ask a few easy questions. We ask if you want to take advantage of our Free pickup and delivery services or use our onsite service. We explain our simple pricing structure so that you will know what to expect. We set up an appointment for pickup or schedule a time to work on your issues onsite at Blue Frog. What will you do to my computer? After we decide together the best plan for your needs, our standard practice at Blue Frog is to scan each computer for viruses and heal or remove any offending files. This ensures that we begin work from a known clean operating system. We'll keep in touch with you regarding our progress so that we can get your computer back to you as soon as possible. Copyright © 2005 - 2008, Blue Frog. All Rights Reserved.